This article was last updated Sep 24, 2018, but some terms and conditions may have changed or are no longer available. For the most accurate and up to date information please consult the terms and conditions found on the issuer website. The information related to the Chase Liquid® and the Bluebird by American Express has been collected by CompareCards and has not been reviewed or provided by the issuer of this card prior to publication. The Chase Liquid® is a prepaid card that has few fees and can provide benefit for those who live in one of the 23 states with Chase branches. 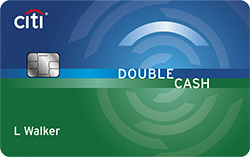 Once you make a $25 deposit to open your account, you can use this card for a variety of actions from making purchases to depositing checks and withdrawing cash. However, the Chase Liquid® really only makes sense for residents in one of the 23 states mentioned below that currently have a qualifying checking account with Chase — this allows the $4.95 monthly fee to be waived. Otherwise, you’ll pay a fee for a prepaid card when there are alternative $0 monthly service fee options available. In this review, we’ll discuss who can open a Chase Liquid®, how the card works, and how it stacks up to the competition. Unfortunately, not everyone can open the Chase Liquid®. You need to reside in a state with a Chase branch to open the card. The Chase Liquid® has relatively few fees, and many of the common fees associated with a prepaid card can be waived if certain requirements are met. There are no inactivity fees, no fees to open, load or reload your card, and there are no overdraft fees. However, there are some fees you may incur with your card. *Qualifying accounts include Chase Premier Plus CheckingSM, Chase SapphireSM Checking, Chase Private Client CheckingSM, Chase Premier CheckingSM and Chase Better Banking® Checking. Note: these accounts typically require a large amount of money. You can use your Chase Liquid® to make purchases nearly everywhere Visa® debit cards are accepted, pay bills, send and receive money via Chase QuickPay® with Zelle®, and withdraw cash at more than 16,000 Chase ATMs and 5,100 branches. $0 fraud liability: If you notify Chase promptly, you may not incur the cost of unauthorized charges. Refer to your account agreement for details. 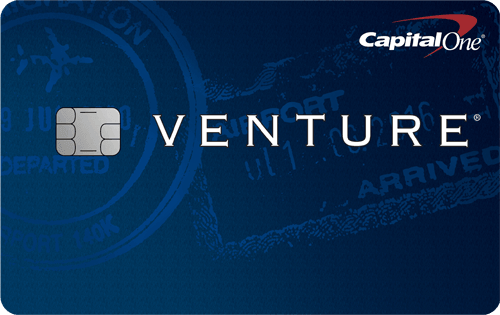 Chip-card technology: This provides an added level of security when using your card. FDIC insured funds: Money you deposit into your account is FDIC insured up to the maximum amount allowed by law. Account alerts: You can set up text or email alerts for a wide range of actions that include low balance warnings, account activity, and payments. When you compare the Chase Liquid® to the Bluebird by American Express, there is a clear winner — the Bluebird by American Express. The Bluebird by American Express has a $0 annual fee and 8,000 more fee-free ATMs where you can withdraw cash. Plus, you can apply for the card in nearly every state (excluding Vermont), as compared to the Chase Liquid®, which restricts cardholders to those residing in the 23 states with Chase branches. Additionally, the Bluebird by American Express provides cardholders with membership benefits that include a roadside assistance hotline, shopping, dining, and other discounts with Amex Offers, access to Amex experiences in select cities and more (terms apply). The Chase Liquid® lacks any of these perks, making the Bluebird by American Express a comprehensive card offering with minimal fees and wider reach. If you live in one of the 23 states mentioned earlier and have an eligible Chase checking account, then the Chase Liquid® is a decent prepaid card. You can use your card for payments and purchases to simplify your day to day transactions. However, if you don’t reside in one of the 23 states or lack the eligible Chase checking account, the Bluebird by American Express is a better option, with its $0 annual/monthly fee and wide range of cardholder perks. If you’re looking to build credit, this card isn’t a good option, since prepaid cards do not report to the credit bureaus. You should instead consider secured cards, which can help you build credit when used responsibly.